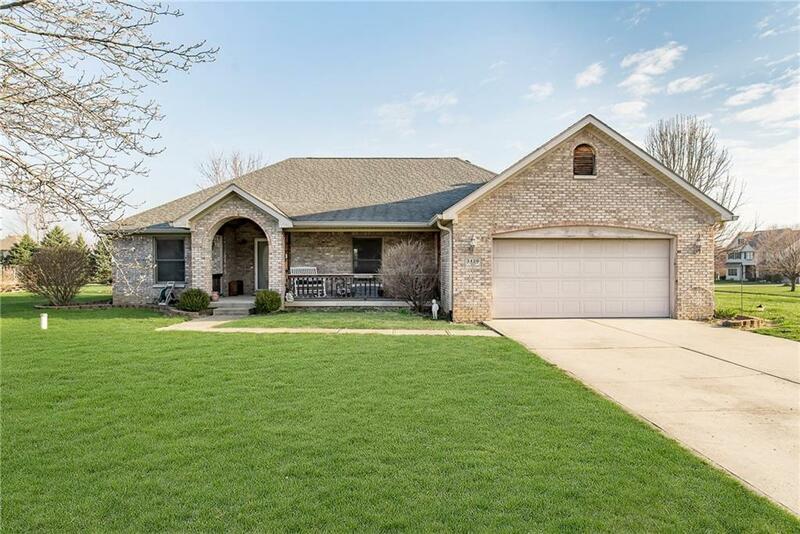 Custom built, all brick ranch on 3/4 acre corner lot. 3 bedroom, 2 full bath, large great room with cathedral ceiling. Formal dining room, large kitchen with center island and an abundance of cabinets and counter space. Breakfast room has extra storage in under window window seats. Split floor plan has master suite with separate tub-shower, double sinks and walk-in closet. 2 additional nice size bedrooms with large closets. Large covered front porch and a deck off of the breakfast room for family cookouts. Mini barn for extra storage on this over sized lot.